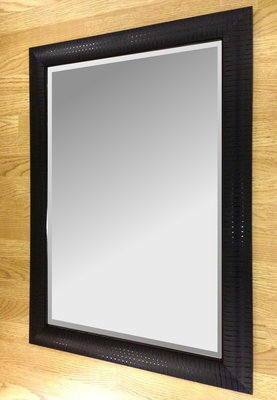 Siena Black 30X20 Bevelled Mirror. Overall size.86X61cm. Siena Black 30X20 Bevelled Mirror. A new addition to our range. 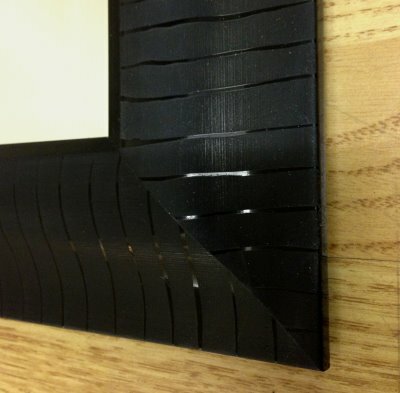 A quality framed bevelled mirror in a striking satin and gloss striped black frame.